If this Valentine’s Day, taking out your better half to a regular restaurant sounds boring to you, we have something that might take your romantic day to another height. 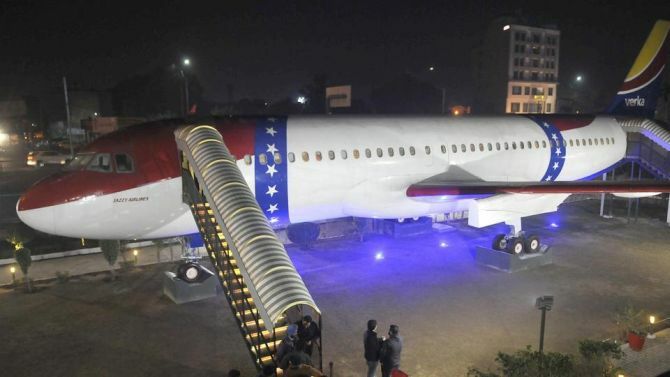 We are talking about ‘Hawai Adda’ (Airport in English), an airplane-themed restaurant which recently opened its doors to public in Ludhiana, largest city in the state of Punjab, Northern India. 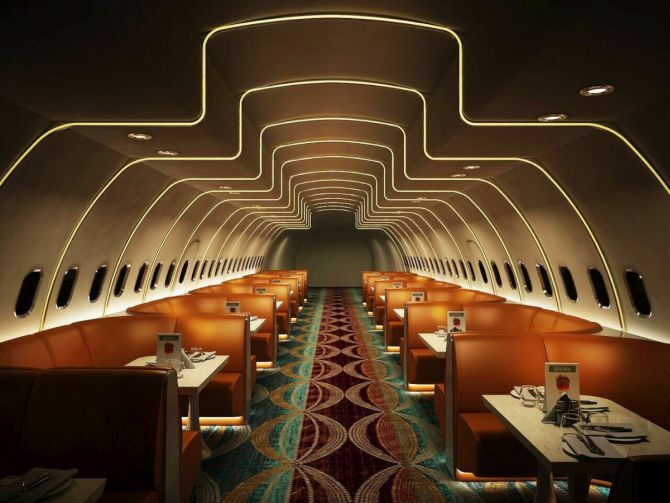 Created by four Ludhiana-based entrepreneurs who happen to be cousins, the India’s first airplane restaurant is already a hit within a month of its launch. 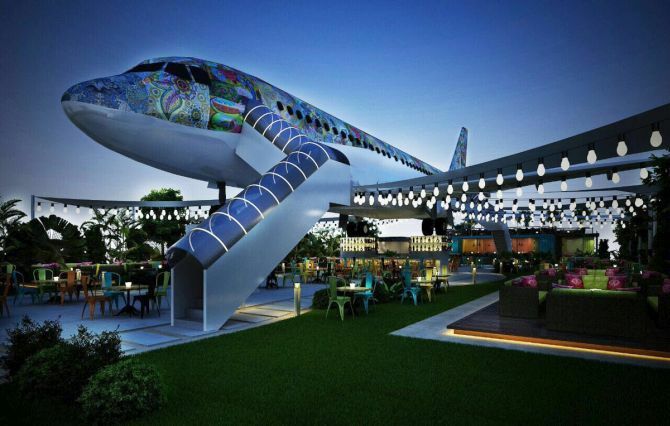 The Hawai Adda airplane restaurant is situated at the Verka Milk Bar premises on Ferozepur Road. Created from a 180-seater Airbus A320, the aircraft was in active service with Air India before it was scrapped after completing its rated number of miles. Brought in pieces from Delhi in four trucks to Ludhiana, the reconstruction phase and the interiors took four months to complete. The unique themed restaurant is a pure-vegetarian, multi-cuisine restaurant that can accommodate up to 72 people. Well, it was not an easy task for the entrepreneurs to start this innovative project. It ran into trouble with the municipal corporation authorities and the fire safety wing which caused some delay for its launch. However, now the place is up and running, attracting lots of attention not only in Punjab but all over India. So, if you are somewhere near the restaurant, it’s a good opportunity for you to experience this unique restaurant and impress your Valentine as well.